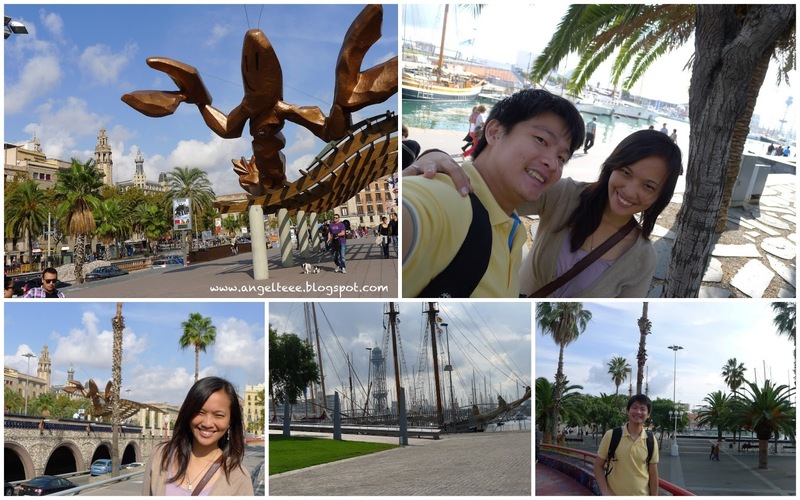 Tee's Blurbs: Part 2 - It's Barcelona, Baby! After soaking ourselves with Catalan art and architecture on the first day, it was now time to see and explore the rest of Barcelona. 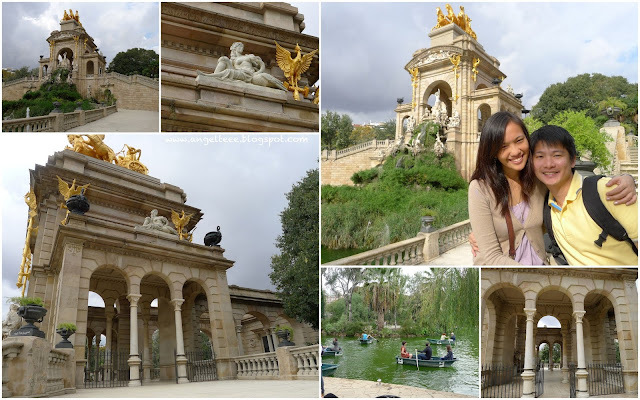 Parc de la Ciutadella is the city's most central park, in the middle of Barcelona's busy and crowded historical district. It was a huge park with a zoo, lake, a huge fountain and several museums. 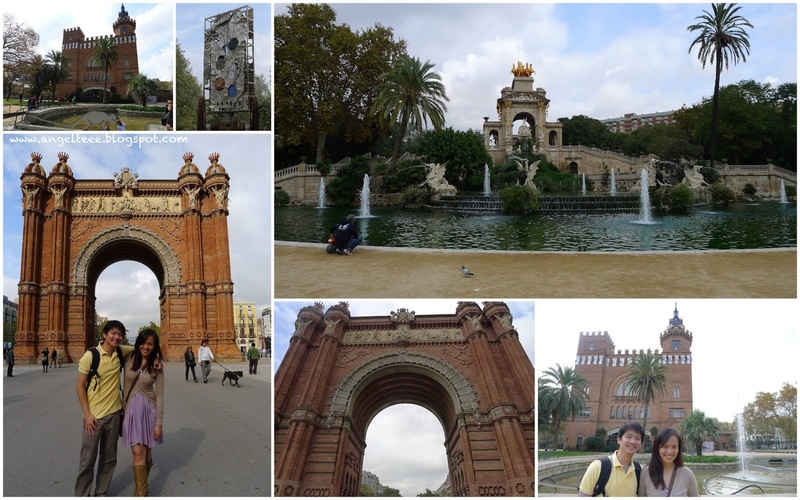 Within walking distance was the Arc de Triomf. Though it is not uncommon for an Arc de Triomf (Triumph) to be built in a European city, this one stood out from the ones we have seen so far as this was built in reddish brickwork. J and I spent the entire morning walking around the park and admiring the scenery. There was just so much to see and take pictures of! Not to be missed is the Castell de Montjuic (Montjuic Castle). 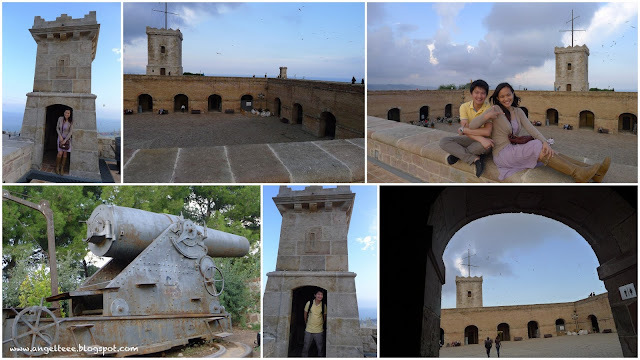 On top of Barcelona's Montjuic mountain, lies the Montjuic castle. 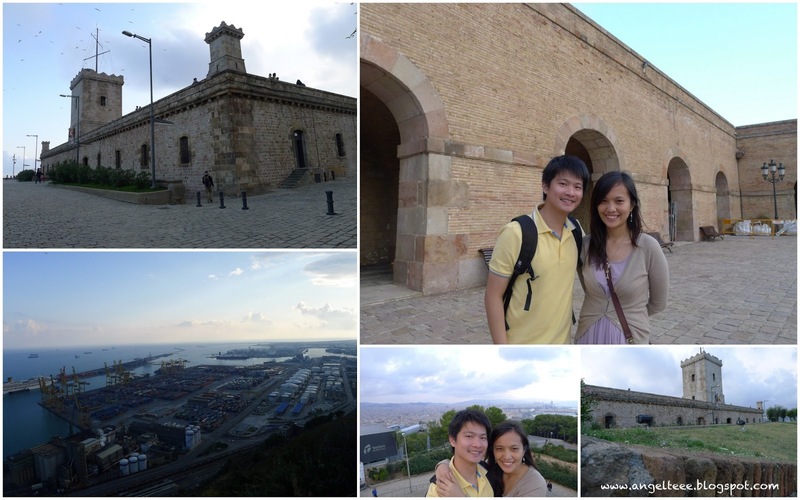 As it was more than 170 meters above sea level, we opted to take the 10-minute cable car ride to the top of the fortress. 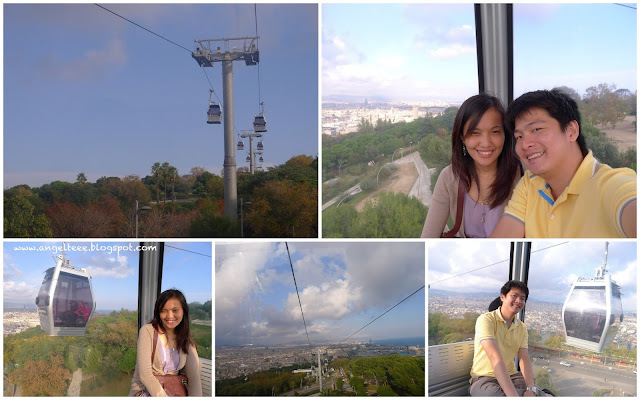 The cable car ride was scenic, it gave us a wonderful view of the city and the sea. There were a few stops in between to allow tourists to visit the other tourist spots as well. The castle itself is one of my favorites to date. The castle used to be an old military fortress overlooking the old part of Barcelona and its harbour. 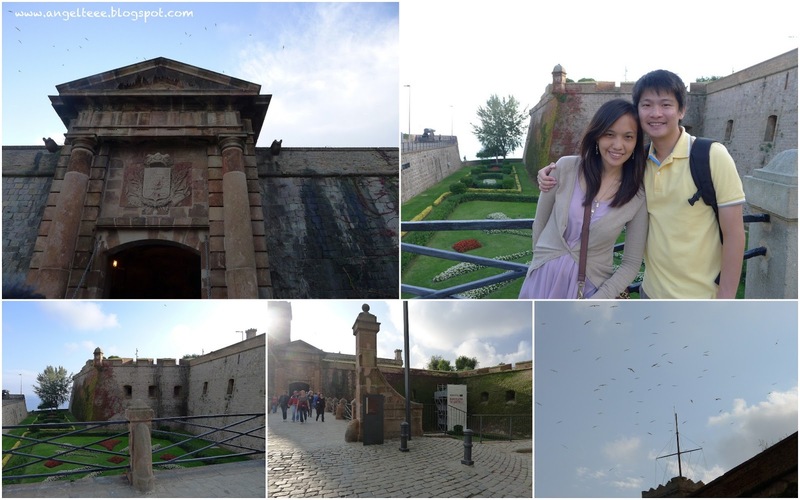 Maybe it was the view, or maybe it was that huge fortress with my prince beside me (ahem, cheesy!!! ), but the trip was worth it. With all these beautiful sites and more, it isn't a wonder that J and I enjoyed our time there. Part 1 of the Barcelona series here.